For Christmas I brought myself some scrap bundles to make a scrap vomit quilt. 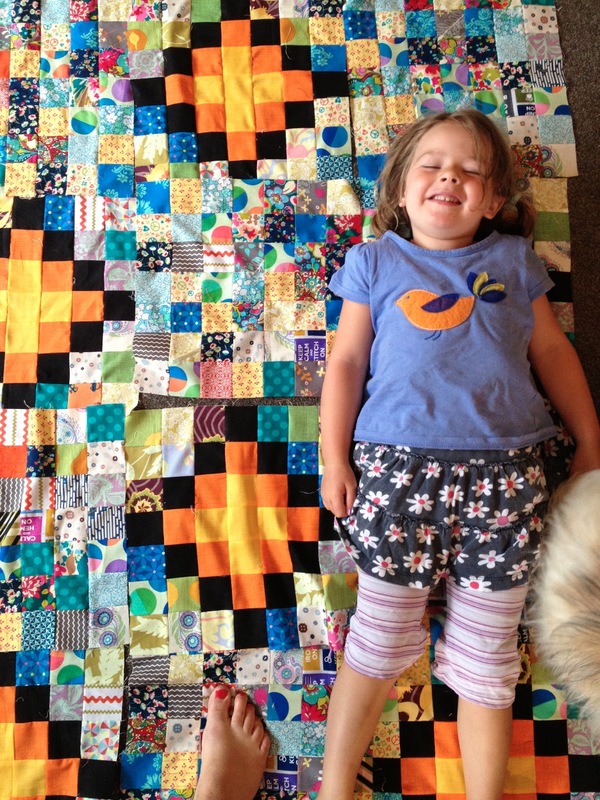 It's a funny term coined by Katy meaning all the odds and sods go together to make a quilt. 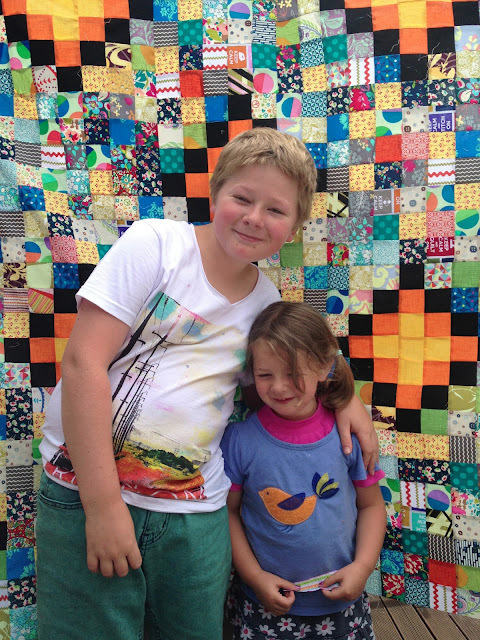 but got distracted by the Scrappy Trip Around the World quilt. 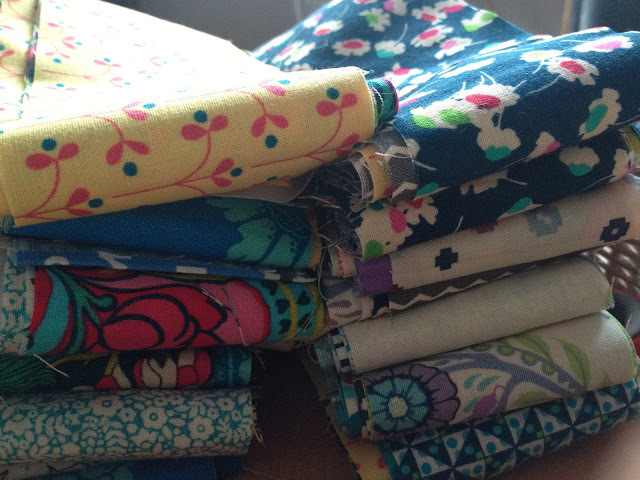 so time for a bit more sewing. I've got some leopard print to go on the back. The colours are actually brighter than this, but I think the camera got a fright and wouldn't take it!! I love how random it is. Florals and stripes and spots all mixed up together. It really is the colours of summer, blue blue skies and hot summer sun. Here's the kiddies to give you some idea of the scale of the thing. It's really big - 36 blocks. 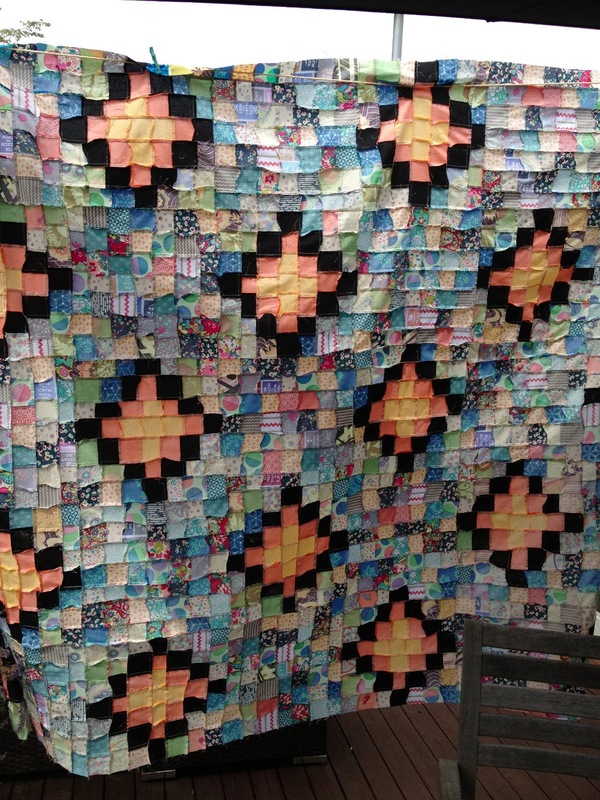 Very striking quilt!! No mistake with those colors! The orange and black bring a little structure to the chaos I think. It looks wonderful, I was going to say it looks like little suns shinning down from on top , down on the water !! Lovely !!! When I saw the first close-of the orange/yellow/black I wasn't sure but seeing the whole thing together looks fabulous! I love it! Oh Deb, again you did it. Do you ever sleep????? that is absolutely divine Deb! It's the most gorgeous quilt I've seen in months! Yum!